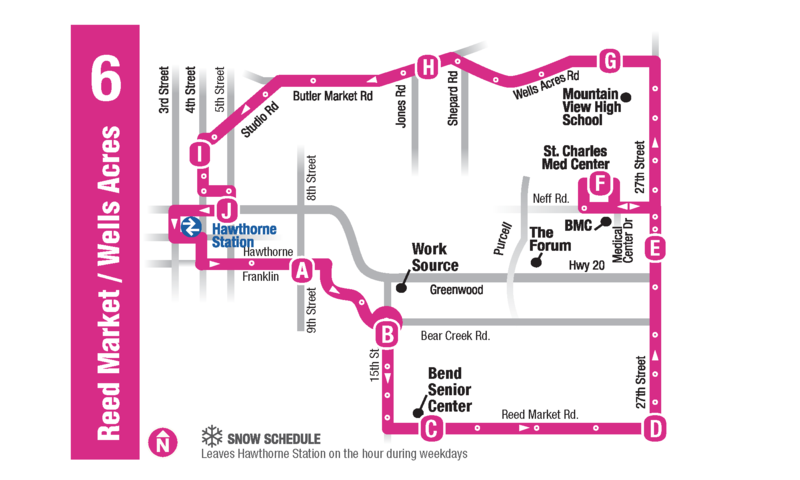 CET provides fixed-route Bend bus service throughout the city. 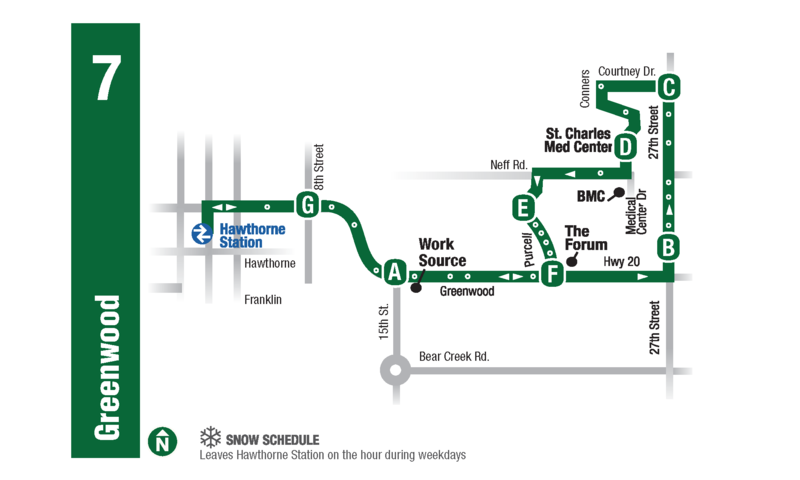 With a growing number of routes, you can get to where you need to go on a fixed-route CET bus. 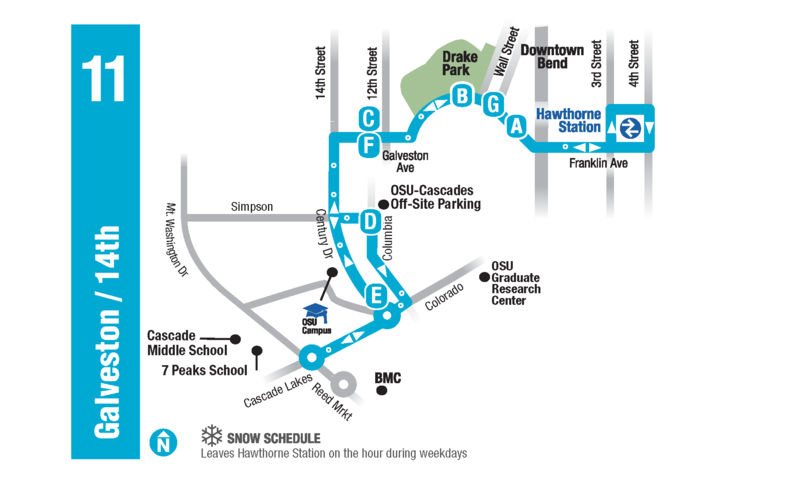 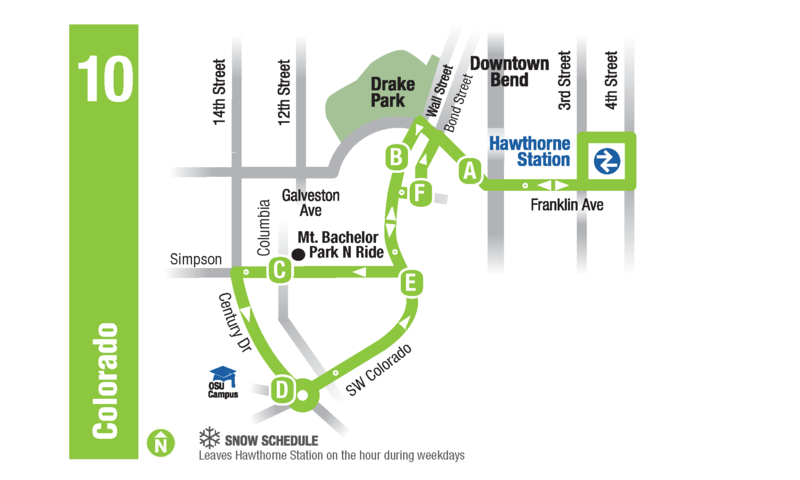 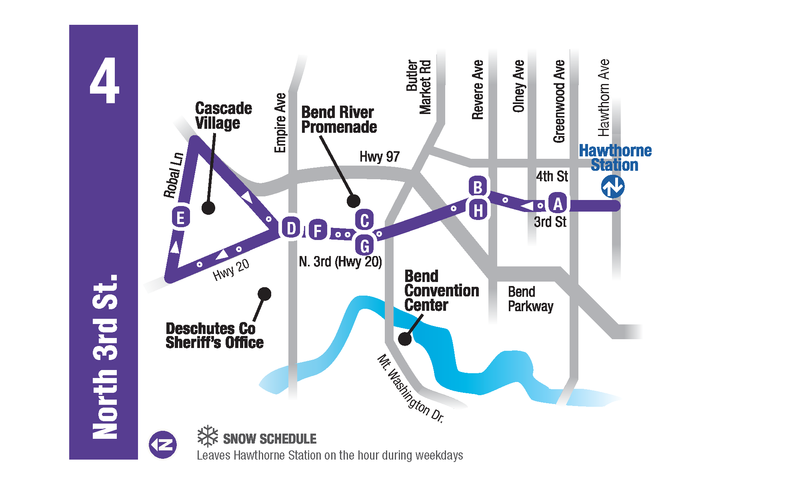 CET currently offers riders 9 fixed routes in the city of Bend, with connections at Hawthorne Station to make bus commuting as easy as possible. 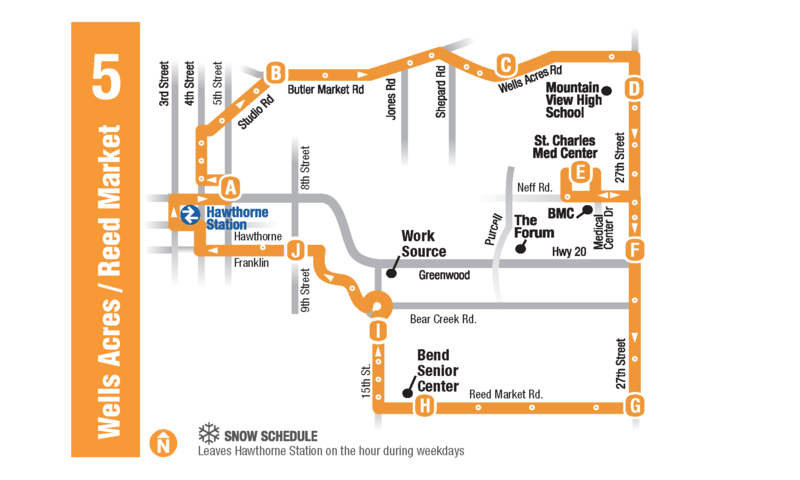 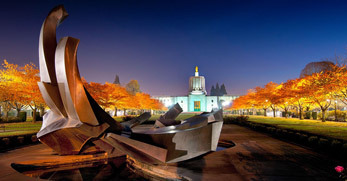 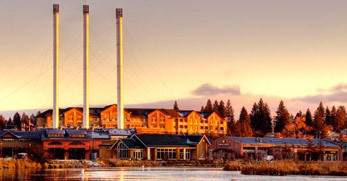 Bend bus service includes fixed routes that go as far south as Elk Meadow Elementary on Brookswood, as far north as Cascade Village Shopping Center, as far west as Central Oregon Community College and OSU Cascades and as far east as St. Charles Medical Center and The Forum Shopping Center. 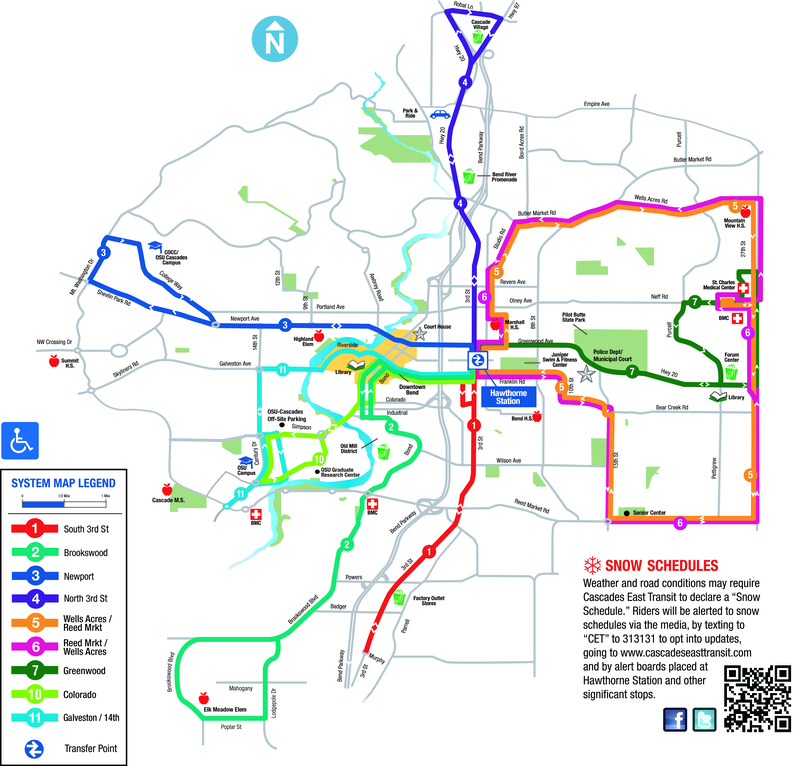 Use the Trip Planner to find out Bend bus schedules or use Transit Tracker to find out where your bus is on the route and if your bus is on time. 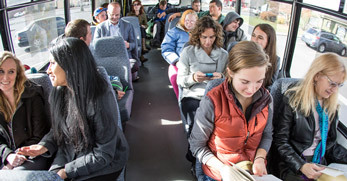 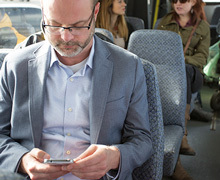 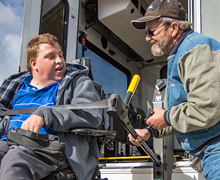 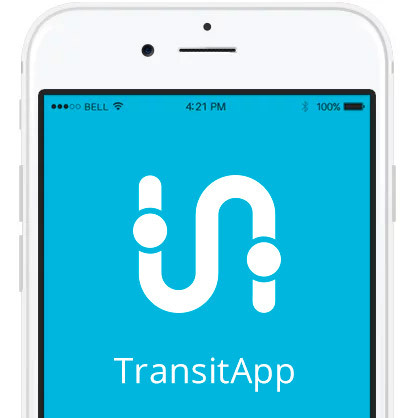 Transit Tracker makes riding the Bend bus service a daily convenience. 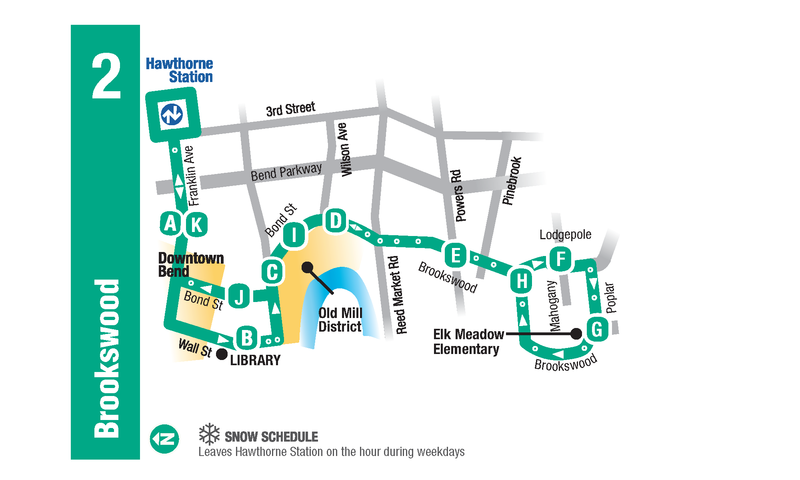 1ROUTE 1 - South 3rd St. 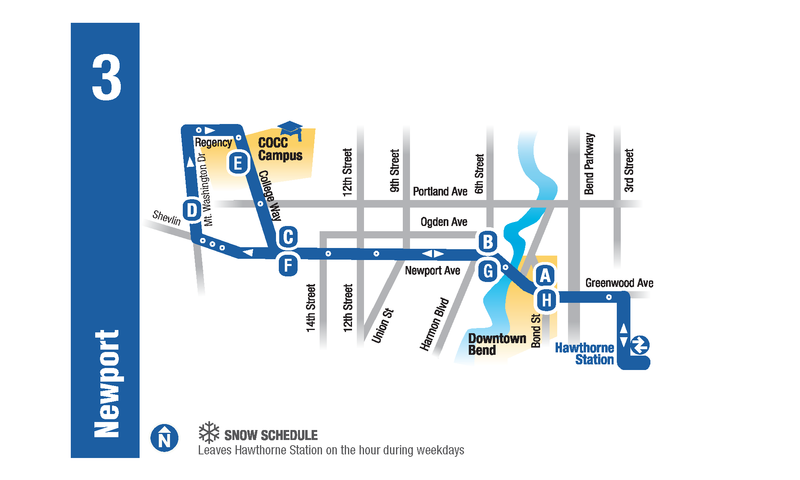 SNOW SCHEDULE: Leaves Hawthorn Station on the hour during weekdays. 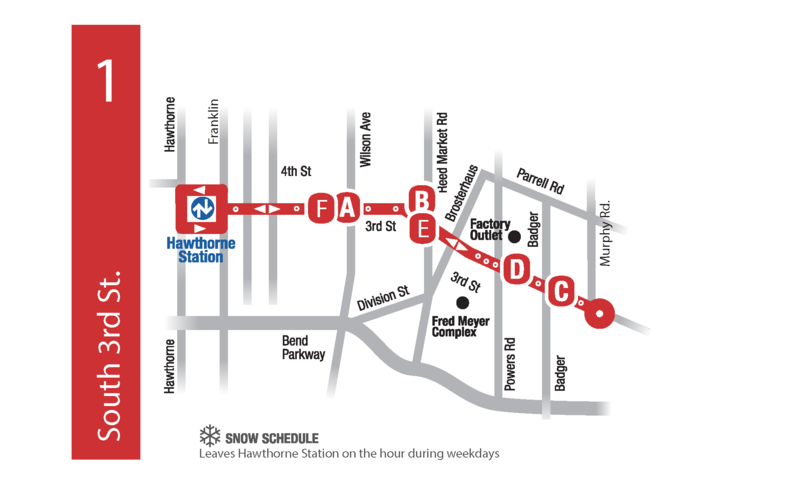 SNOW SCHEDULE: Leaves Hawthorne Station on the hour. 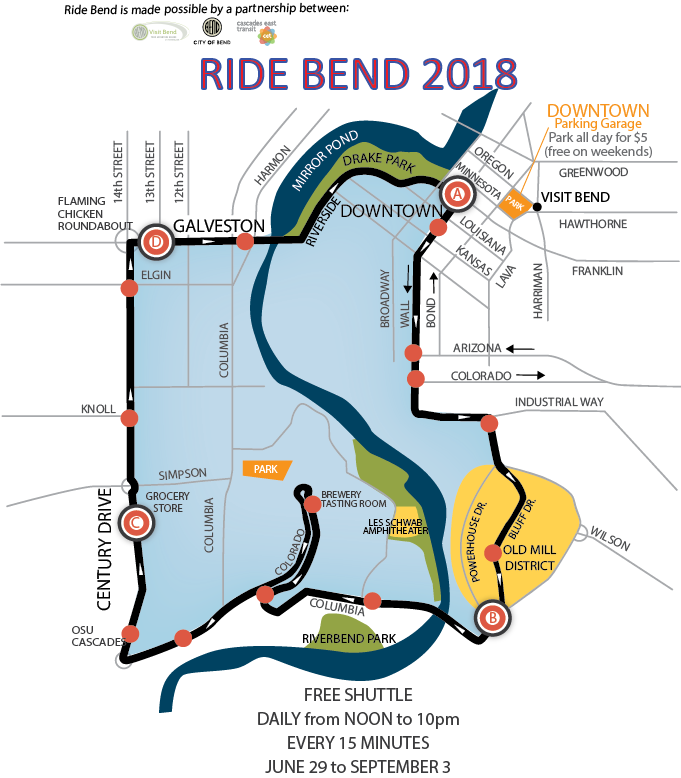 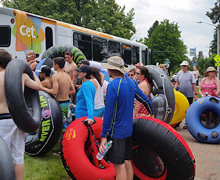 Ride Bend is a summer shuttle that operates daily from June 29, 2018 to Labor Day. 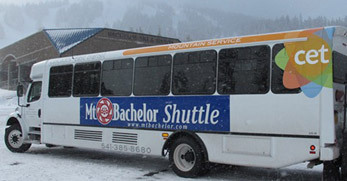 The shuttle runs Noon - 10pm. 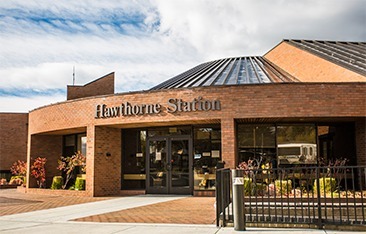 7 Days a Week, Noon - 10 PM. 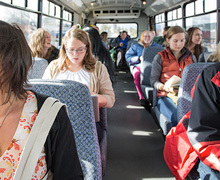 Buses run every 15 minutes.